Sorry for the lack of posting but this week has really been uneventful! I am back to sleeping every chance I get and basically getting through each day with my dignity and sanity intact. Let’s see…I suppose there are a couple things I could talk about. First, I got a recipe online for the most amazing (fatty) pizza ever!! Depending on how long you’ve been reading this blog, you may be familiar with my ongoing love affair with all things buffalo chicken. Well, this pizza was nothing short of romantic. You start with a plain crust and layer bleu cheese dressing (or in our case ranch), cooked chicken marinated in buffalo sauce and melted butter, and mozzarella. 10 minutes in the oven on 425 and you are in heaven. Who knew it was that easy to get there??? All jokes aside, this pizza was phenomenal. With a capital NOM :-). Secondly, we got our crib bedding this week! It was totally unintentional as we don’t even know the gender of the baby yet, but I found an amazing deal at Target and I could NOT pass it up! I had a gift card for $20 and spent about $9 on top of that. I was able to get the crib bedding, wall decals, pillow and toy! Plus, my sister went to her Target in SC and found the crib skirt for $5 !! Not to shabby! I love a good bargain. Overall we saved about $100. Yay! 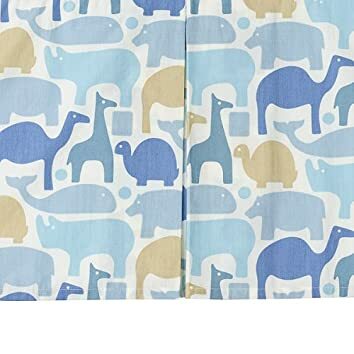 Here it is, Dwell Studio – Zoo pattern….awwwww. It’s very blue, but we already have plans about how to girl it up if need be (pink elephants anyone????) …we’ll know in a week and a half (hopefully) !!! Now that the basics are down, I am ready to clean out the office. That will be the not so fun part, but hey it’s all for a good cause! This weekend will be pretty low key. I think I will try to shop a few yard sales in the morning while the weather is still nice. Happy Friday everyone and have a great weekend! I like reading your blogs….they’re fun. I will absolutely be reusing Sadie’s bedding if we have a boy next. And everything doesn’t have to be so pinky pinky everywhere. Good choice!